Brushes Category:Brushes variety. To cope with everyday makeup, makeup can be combined according to personal habits. 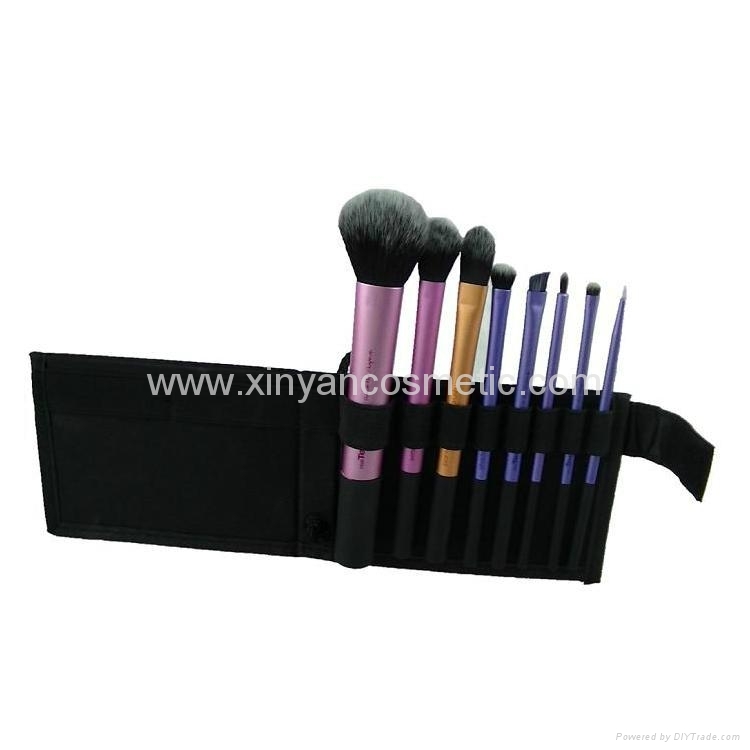 But there are six brush base configuration is required: honey painting, concealer brush, blush brush, eye shadow brush, eyebrow brush and lip brush. 1 honey Stucco: swept out with a silk texture powder makeup, face makeup cleaner lasting. 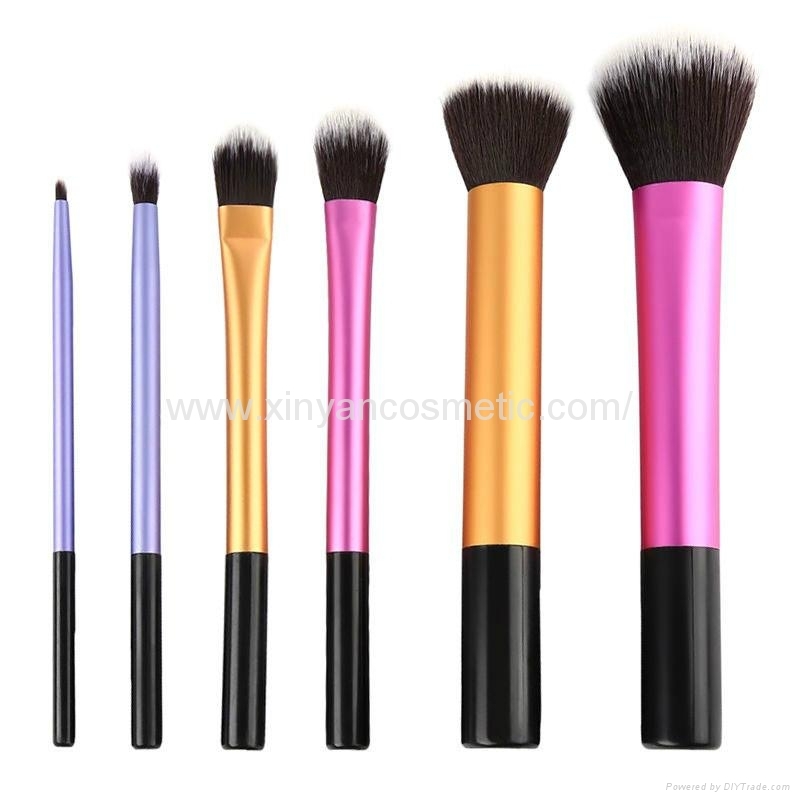 2 Concealer Brush: fine brush to brush to hard to reach areas, the effect is more uniform natural concealer. 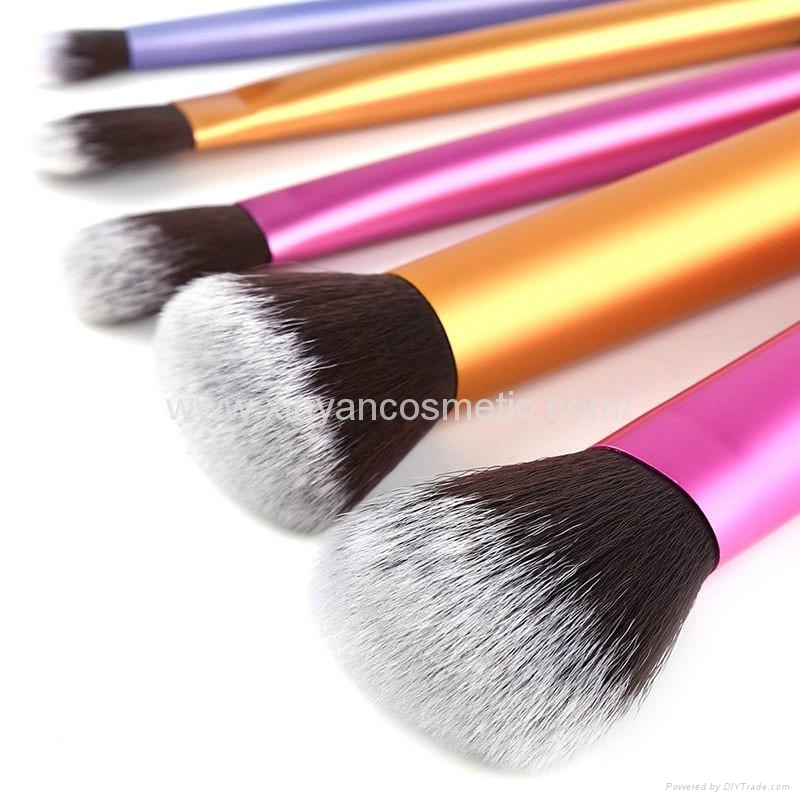 3 Blush Brush: blush brush out the natural curvature, blending shadows, perfect highlight facial contours. 4 eye shadow brush: variety. 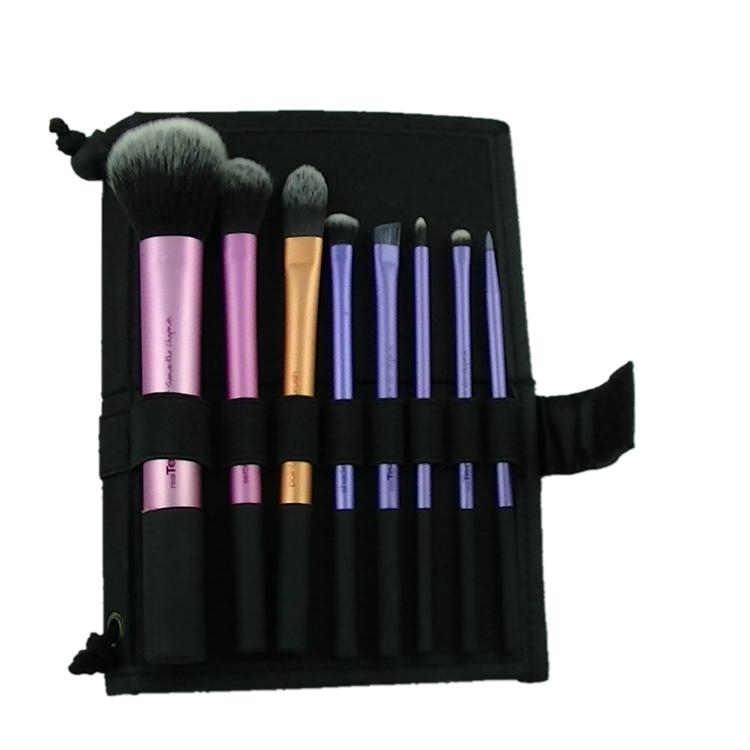 Need to prepare different sizes to suit different eye shadow brush eye outline method. 5 eyebrow brush: with eyebrow can draw quite natural brow. Efforts to control and easier than the pencil shading. 6 lip brush: lip outline precise, full color makes lips even more lasting. 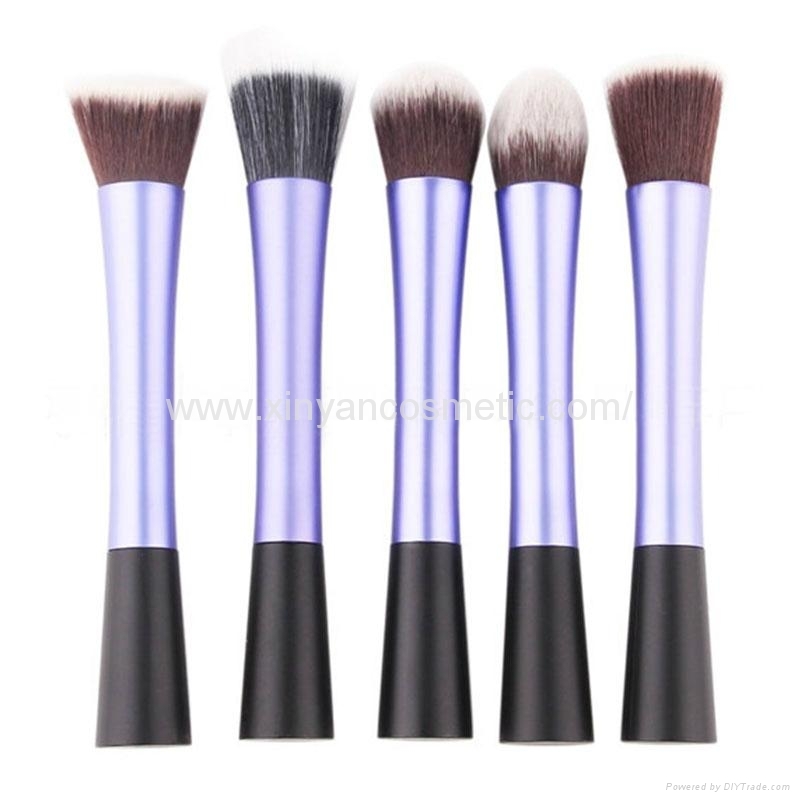 7 foundation brush: to apply liquid foundation, liquid foundation and Requirements for brushes are high. 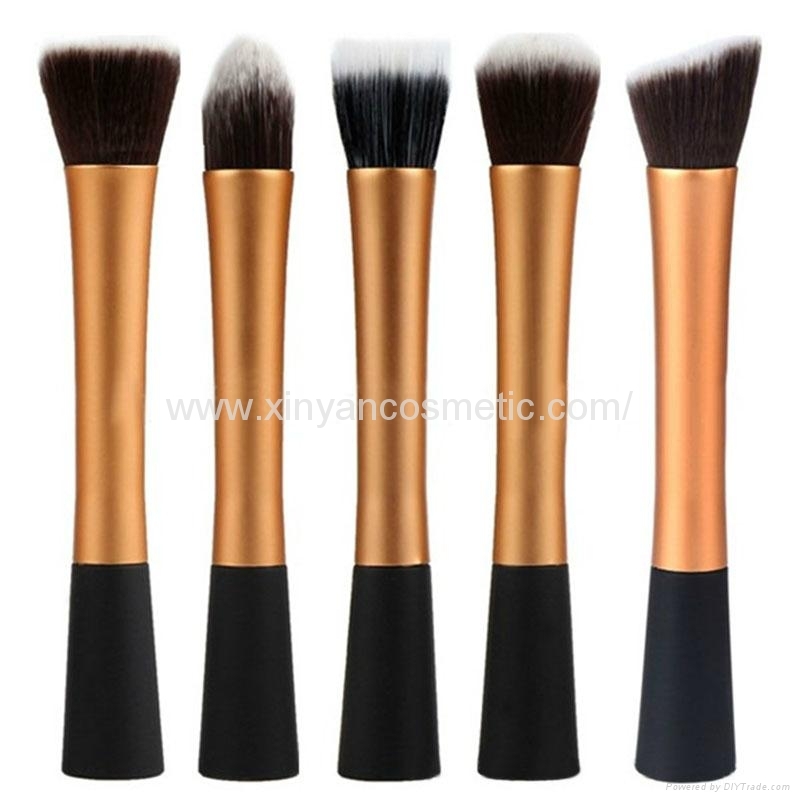 8 facial contour brush: Features that brush was 45 °, with a blush brush similar size, coarse bristles.